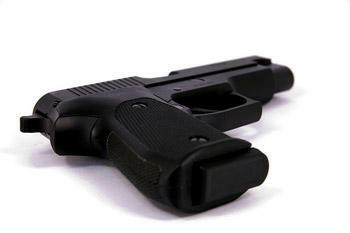 An Ill. Senate Committee is expected to vote on a gun control measure on Monday, May 20, 2013. A proposed bill would make magazines that hold more than 10 rounds illegal. Parents of two Sandy Hook elementary students killed by a Connecticut gunman last fall testified in favor of limiting high-capacity ammunition magazines in Illinois. The Illinois Senate's Executive Committee voted 12-3 Monday to advance legislation banning magazines that hold more than 10 rounds. Mark Barden is the father of seven-year-old Daniel Barden. Daniel was among 20 children fatally shot Dec. 14 in Newtown, Conn. Barden says killer Adam Lanza consciously took higher-capacity magazines with him "to kill a lot more people and he did." 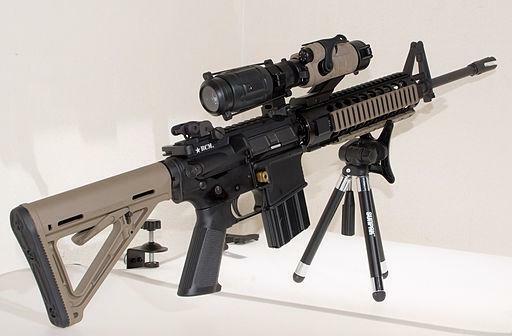 Park Ridge Democratic Sen. Dan Kotowski's legislation would exempt police, military and shooting competitions. Todd Vandermyde of the National Rifle Association says he should have the same weapons as police to protect his family. 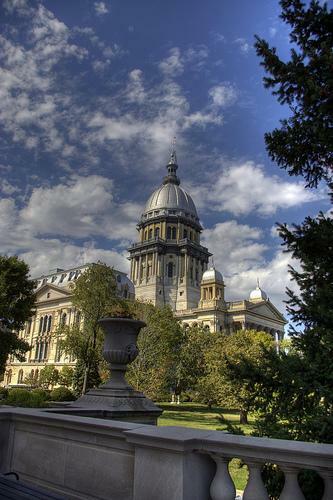 An Illinois State Senate committee is expected to vote on a gun control measure today. They're scheduled to hear from some parents whose children died in December's mass shooting in Newtown, Conn.
Three parents from Connecticut talked Sunday in Chicago about banning high capacity magazines. A proposed bill would make magazines that hold more than 10 rounds illegal. "If the shooter's magazines had held 10 rounds instead of 30, forcing him to reload many more times, what additional opportunities would have been available for someone to disarm him, as we've seen in other tragedies?" said Nicole Hockley, whose 6-year-old son Dylan was killed in the Newtown school shooting. Meantime - Senate President John Cullerton - a Chicago Democrat - says a vote could come down to one or two senators. "I want to see these three parents come down to Springfield, Ill., and I want them to make some of the senators very uncomfortable," Cullerton said. Legislators have also had a hard time agreeing on concealed carry legislation. 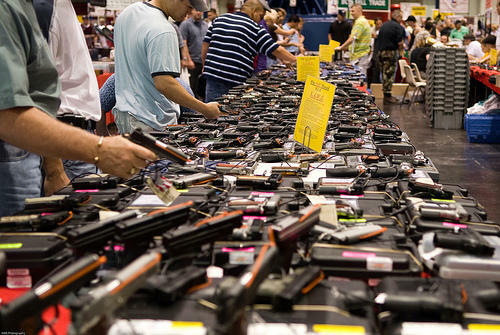 St. Louis County Lawmaker To Propose Closing 'Gun Show Loophole' In Mo. A St. Louis County lawmaker plans to file legislation that would require background checks on anyone who buys a firearm at a gun show. State Representative Stacey Newman (D, Richmond Heights) says her proposal would close the so-called “gun show loophole” in Missouri. 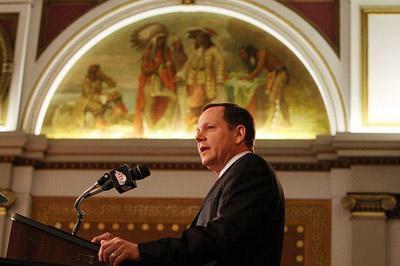 St. Louis City Mayor, Francis Slay, has a crystal clear response to the National Rifle Association's position that armed guards should be placed in every school. He doesn’t like it, not one bit. It’s perhaps counter intuitive, but when acts of violence shake the nation, sales of guns go up. The same is happening with the sales of semi-automatic rifles and high-capacity magazines. Under normal circumstances you might be confuse the rush of customers at Mid America Arms in South St. Louis, as Christmas shoppers, but not so this year. “It’s been one of our best days in 13 years but…not for the right reasons,” says owner Mark Campbell. Groups on both sides of the concealed carry debate in Illinois say the state is no closer to crafting a court-ordered law than they were the first day of this legislative session. "We've had committee meetings from one end of the state to the other, and out of this we have gotten nothing," Pearson said.